November 2018 marks what was billed as “The End of the Beginning”, but which was seen by many as the BEGINNING OF THE END. The assimilation into Barclays of Martins Bank, its traditions, services, identity, branches and some four hundred years of history, takes just over a year to complete. By the Autumn of 1968 the Bank is a subsidiary company of Barclays, and is allowed one more year to continue displaying its name on its buildings, stationery and advertising. The stage is set, and the show must go on. By the end of 2018 there will be fewer than one hundred branches left, of the seven hundred plus that were taken into Barclays at Christmas 1969. That this many still survive in today’s banking climate is not simply a miracle – it is also testament to the solid foundations of Martins Bank – the many individual banks from which Martins was derived. As we look back over fifty of the most changeable years for British Banking, we can take pride in Martins Bank knowing that it fell honourably on its sword: A victim of its own success, the Bank’s determination to embrace change and new technology has now largely done away with the need for branch Banking. As those technologies evolve and mature, they replace men and women with machines powered by algorithms that in the late 1950s were still the stuff of science fiction. (Yawn) - Surely it’s just about some old bank, isn’t it? 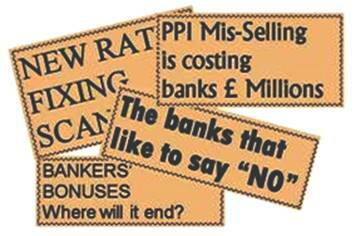 No, it is NOT just about a Bank – far from it! The success of Martins Bank Archive is not down to the one thousand or so buildings that have been knocked down, or gradually turned into betting shops and cafés over the years, it is about the lives, talents, hopes and achievements of the people who worked in them, and whose commitment to go to extremes to be helpful still continued to shine through under their new employer, from the end of 1969. Many of those people have helped us to shape this record of an age that although not so long ago, seems further than a universe away from where we are today. It seems hard to believe that in our first few years online we have reached many thousands of people right around the World, who have contributed to the archive – a precious memory of “how we used to do things”, hundreds of photographs from private collections, physical items we can photograph or scan and share with our visitors. Then there is the extraordinary generosity of leading archives, newspapers, specialist journals all keen to share with us and help us bring Martins Bank back to life across our 1224 pages. Our policy is that history should not be for sale, and we have established links with almost 100 companies, newspapers, groups and history societies, who are happy to contribute in return either for a simple copyright notice, or to have their logo and web site linked to us. It is also the contributions of the people who were there, and of those such as Barclays Group Archives, who like ourselves preserve the records of Martins Bank, for which we are so indebted. This valuable mixture of input keeps our visitors coming back for more and more nostalgia as they look at the way life was lived and worked between 1928 and 1969 – one of the most changeable periods in modern history. So it is definitely NOT just about a bank, it is much more of a window on those times when the word BANK meant safety, stability – reliability, and represented a place where your face was known and your finances were kept in check by human beings whose only “excessive bonus” was £10 at Christmas if they were lucky! We show how life was lived by the ordinary people who worked for Martins – from being “mentioned in dispatches” in World War 2, or achieving prominent local office, to the men and women of the Bank’s Dramatic and operatic Societies letting their hair down, AND moving with the times. The second decade of the 21ST Century has sounded the death knell of Branch Banking, as we switch from needing human contact to using our online devices to move money instantly to anywhere on the planet. This makes remembering those who made all this possible an ever more important duty, and one which we will always take seriously. We hope that those who come after will understand how, in the age of the rat-race, the gimmick and the brash headline, that quietly restrained but immensely heartening statement amounted almost to an understatement. Nevertheless it found instant and universal approval. “Though Martins eventually will become a completely integrated Bank with Barclays its identity will not disappear immediately. I feel sure that Martins' name will never be lost sight of, because of the Bank's great history”. Were things always as “bad” as they are today? In the twenty-first century we are used to hearing horror stories about our banks almost every day of the week. The term “Banker” is freely used to the point where those on the front line of banking - the friendly and usually grossly underpaid faces who deal with your day to day transactions - are not distinguished from those who never even meet the public, and whose risk taking, along with that of their bosses, has caused many of the problems we read about. Was it always like this? Well, of course not. The golden age of banking seems to end about the time that Barclays takes over Martins Bank. From that point on, competition is the new king. The hitherto simple waters of banking become muddied – the nuts and bolts of running a bank become “products”, and cashiers become “salespeople”. Fifty years since Martins was absorbed into Barclays, we should not forget the contribution made by this amazing financial institution, and Martins Bank Archive is proud to offer its collections and this website as both a social history and a permanent reminder, with more than twelve hundred pages of information, packed with memories and images of Martins down the years. 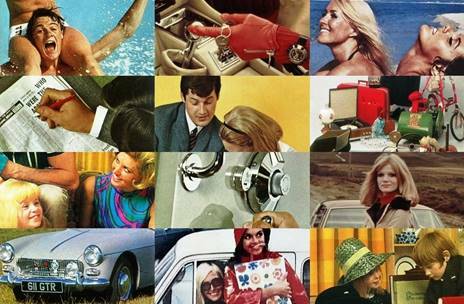 As the first major national bank to be based outside London, first with mobile branches, first with computers, first to operate a cash machine that uses a plastic card and PIN, first to recognise and properly use the full power of branding in the swinging 60s, Martins really is a first among banks – a 1960s icon! 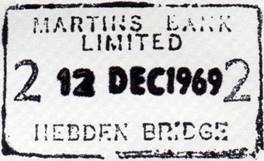 By the end of its days as the largest of the “Small Six” Banks, Martins has operated at almost 1000 branch and office addresses in England and Wales, and with over 700 still open by 1969, not to mention district departments and subsidiary companies, Martins’ presence is strong, particularly throughout the North of England where it seems that almost every town and village has its own Branch. Many of Martins’ new 1960s buildings are beautifully designed with sumptuous interiors, and stand alongside the more traditional bank branches as testament to the bank that always goes to extremes to be helpful. To navigate the site please choose from the various on screen menus and use your browser’s forward and back buttons. Martins Bank Archive is a voluntary venture, not for profit, and aims simply to act as a historical record that is accessible to all. We always need images of Martins Bank Branches - especially covering the period 1950 to 1969 (just before the bank was taken over by Barclays). Blackpool Whitegate Drive, Leeds Vicar Lane, and Scarborough South Cliff. Martins Bank Archive offers a huge resource of information about the Bank, its history, products, ideas and staff, over nearly 1200 online pages. The online section of Martins Bank Archive has become a valuable resource to people tracing their family tree. 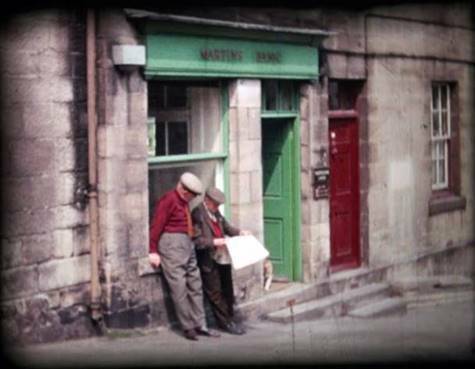 We have thousands of images of Martins Bank Staff, many of whom are now aged between 58 and 90+. The bulk of enquiries received by the archive are from people who would like career details or copies of images either of themselves, or their loved ones who worked for the bank and are now no longer with us. We have two staff databases: The first of these is now complete, and covers the period 1946 to 1969. It contains more than a quarter of a million entries and cross-references for staff at all stages of career from New Entrant to Retirement. Marriages and Deaths are also recorded for this period. The bulk of this information is scanned directly from the 96 issues of Martins Magazine, and is as complete as it can be. We cannot guarantee to be able to produce FULL career records for every member of the staff. The second Staff database is still being built from available sources, and covers as much pre 1946 information as we can find. In addition to career information, we can, from the main database, can supply details of obituary notices printed in the Bank Magazine, and the text of articles written about staff. These have already proved useful to a number of people wanting to add information about the working lives of members of their family tree. Please note that the images on the website have been specially processed to ensure that they will not enlarge without distorting. If you would like a copy of a particular image, please get in touch with us at gutinfo@btinternet.com. 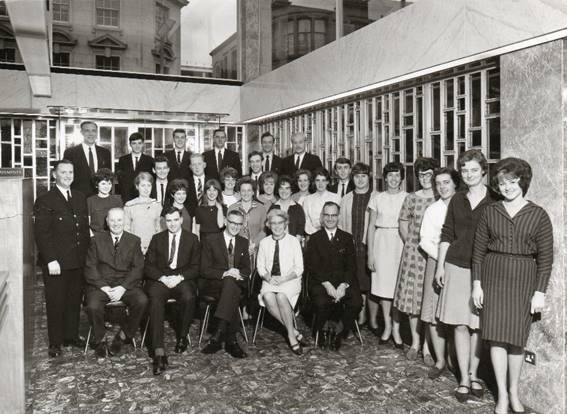 A large number of our own photographs of Martins’ branches and staff are available – these come from Martins Bank Magazine, and have been in the public domain for between 41 and 65 years. Please note however, that we do not supply copies of any of the pictures featured on the website that are attributed “image © Barclays Ref:” without the permission of Barclays Group Archives. These items are on loan to us, and if copied, will infringe Barclays’ copyright, which could result in legal action against those who copy them. All enquiries to Martins Bank Archive should be made in the first instance by email. We are happy to search our records for images, or details about a particular branch of Martins, and provide medium resolution images by email. Whilst in the best spirit of Martins Bank we will go to extremes to help you, we may not always be able to find the answer to your question or query, or answer it straight away. Where we use outside bodies such as other relevant archives, we will never pass your contact details on without your permission. Please note that items of a personal nature (e.g. private letters) that have been donated to the archive, will not be made available without the permission of the donor or their agents. The origins and growth of Barclays Bank are similar in many ways to those of Martins Bank – whereas Martins is strong throughout the North of England, Barclays’ heartland is the South, South East and East Anglia, with for example the business acumen of Norfolk Quakers and a network of small local banks being acquired or merging down the years, all contributing towards the World Class Bank we see today. Barclays Group Archives is an amazing source of information that is not simply about banking, but which can help researchers to unlock the past to show us how we used to live. You can visit our Barclays Group Archives Page by clicking the logo above. From there you can visit their website, which is packed full of information and now includes downloadable images from more than 300 years of Barclays’ history. Our Branches Database is a full listing of more than 990 buildings that were used as branches or offices of Martins Bank, including Sorting Code and/or National Numbers, address and (former) county, and last known telephone number. Currently some of the dates that branches opened have been taken from a listing originally donated to Barclays Group Archives, and cannot be confirmed by them as completely accurate. However, the Branch Listings Database is currently being populated by the most accurate dates of opening available to Barclays. 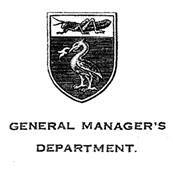 There is also a full list of managers, pro managers, sub branches, self accounting sub branches and main/parent branches as at 01 January 1969. We are building a separate listing of district office departments and Martins Bank’s Subsidiary Companies. including Sorting Codes where applicable, address and (former) county and last known telephone number. We hold more than 5000 images - a precious but growing number of them in colour - including branch interiors and exteriors, departments and offices and/or staff who worked in them, a large collection of branch staff group and individual photos. The physical archive is growing all the time, and we are always grateful to receive items on loan, donated, or bequeathed. We have a number of full sets of Martins Bank Magazine, as well as Martins Bank Book of Instructions, wartime Head Office circulars, Head Office Integration Circulars, cheques vouchers and other from individual branches. There are also Martins’ Giveaways such as money boxes (3 varieties), miniature cheque and paying in books (2 types), and Martins books of matches. We have some training guides and procedure manuals, share certificates, and Martins Bank staff association leaflets and guides. There is a representative sample of customer product leaflets from the 1950s and the 1960s, and a large collection of original newspaper advertisements. Please be aware that items such as personal letters, which have been donated to but which do not appear within the online part of the archive, will not be made available for viewing without the express permission of the donor. Please note that images credited as follows: “Image © Barclays Ref 0030/1628” are the property of Barclays. They can be download from Barclays Group Archives’ own site free for personal use only. Images credited as follows: “Image © Martins Bank Archive Collection” belong either to Martins Bank Archive, or to the company or individual that donated the original image or its likeness. Whilst we can make most of these images available free for personal use, the owner’s permission may also need to be sought. Martins Bank Archive is not solely concerned with celebrating and highlighting the amazing history of our Bank. Any large business concern really is nothing without its army of devoted and hardworking staff, and we are very keen that former colleagues and those related to them, can have access whatever career information we can find for them. To enable this to happen, we embarked last year on Martins Staff Database, which has already produced career information both for family tree researchers, and many Martins Colleagues who are still enjoying their well-earned retirement. More than half a million pieces of information are now held in the first of two main databases, and this information is regularly sorted and sifted on request, to produce career records that cover many stages of employment from New Entrant to Inter-Branch/Department Transfers, Marriages, Promotion to the Appointed Staff, and retirement. The fullest records are currently from the years 1946 to 1969, but a separate collection is already gathering available staff information that goes back, in some cases, to the 1880s. We love to hear from the relatives of staff who started work before 1946, within Martins, or one of the many Banks that have come together over the years to build the Bank. Photographs of any member of our staff, especially pictures taken during their career, put faces to names, and help fill in important parts of the jigsaw. It is important to note that the information in the 1946-69 database is compiled almost exclusively from published records. The second database is more complex, as it includes information passed on by relatives, and a large collection of Martins Bank’s own staff circulars. Martins Staff Database is not available online, but we do always welcome your enquiries about Martins’ Staff and of course donations of information and pictures. If we can help you, or you can help us, we would love to hear from you at the usual address – gutinfo@btinternet.com . Martins is at the forefront of so much change in the 1960s, but not even they could have envisaged what we have today thanks to the internet - being able to think of any question, type it in to a home computer and immediately be faced with millionsa of answers. Whilst the internet has naturally become everyone’s resource of choice, and has helped fill in the gaps, we are also grateful for the generous assistance of a huge number of organisations and companies, who, whilst we do NOT carry advertising, are given appropriate accreditation throughout this site. 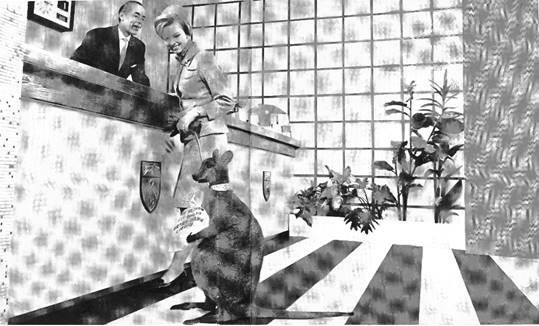 Martins own printed legacy, from its staff magazines and special souvenir publications to the books “Four Centuries of Banking” – has been its own invaluable source of reference, including the unique snapshot of banking life provided within the pages of Martins Bank Magazine. Personal memory – a scarce commodity decades on – is also a unique way to help us tell the story of the bank that at the height of its popularity and prosperity disappeared from UK life forever. This is why we will be delighted to feature your images and items from the period, along with your memories to share with others. Finally, the Online Archive in particular, benefits from the extreme generosity of the Barclays Group in making available thousands of images, and hundred of hours of enthusiastic help and guidance, for which we remain eternally grateful.